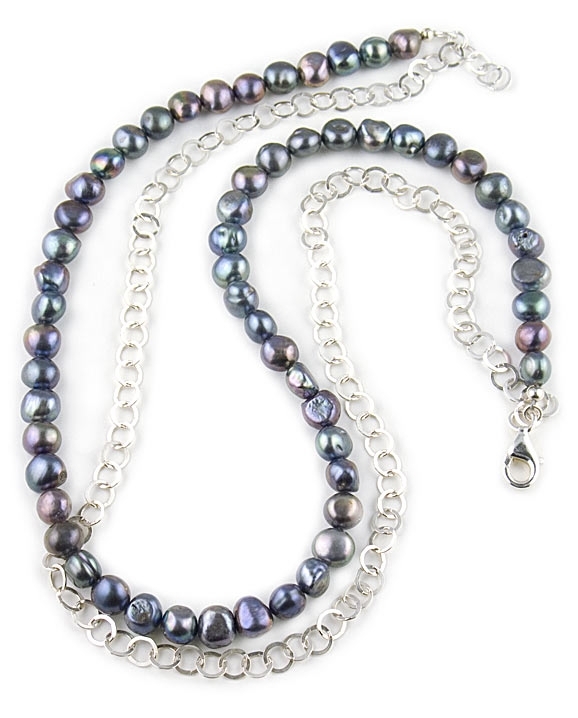 This modern/classic necklace features a string of 8mm Peacock freshwater pearls and an Italian sterling silver chain. Necklace measures 43.5cm / 17.1" in length and fastens with a sterling silver lobster clasp. A funky pearl necklace easy to wear all day; Also makes a great gift. Available exclusively in the UK from the Farfallina.net.